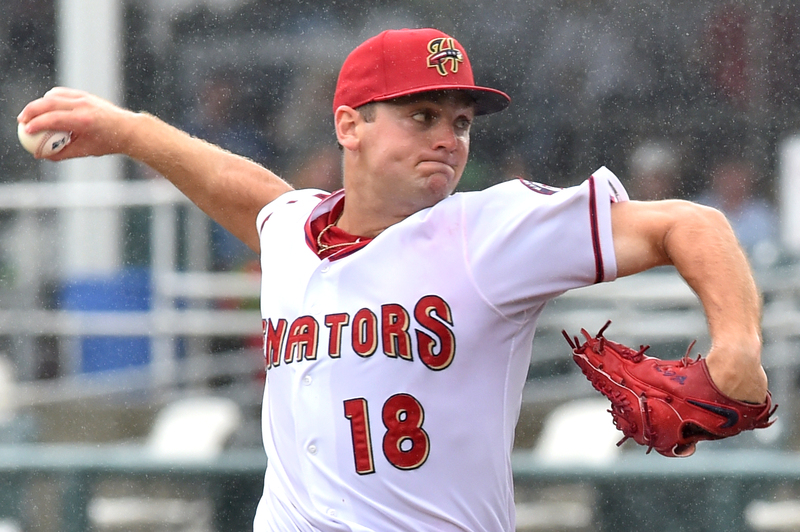 Matt LeCroy couldn’t have drawn up a much better first game of the 2019 season for the Harrisburg Senators. Other than a pesky two-run home run Bowie’s Anderson Feliz hit off reliever Ronald Pena in the eighth inning, the manager was pleased with all facets of his young ball club in its 8-4 Opening Day victory over the Baysox. Wil Crowe got the starting nod and fought through some early struggles before settling down nicely to go five innings and pick up his first Double-A win after failing to do so in five starts last season. The 24-year-old right-hander allowed one run while scattering three hits, walking a pair, and striking out three on 81 pitches. The offense got a big jolt in the bottom of the second when Rhett Wiseman clubbed a three-run home run in his first plate appearance at this level. The outfielder picked up where he left off last season after stroking 21 homers at Potomac in 2018. Four innings later Chuck Taylor gave the Senators some much-needed insurance runs when he crushed a 1-2 pitch onto the left-field boardwalk clearing the bases with a grand slam. Luis Garcia, Tres Barrera, and Wiseman all broke through with base hits in their first game at Double-A. Michael Taylor went 0-for-4 with two strikeouts while playing seven defensive innings in center field during his rehab…Aaron Barrett got the game’s final three outs in his return to the mound five-plus years after his last time at FNB Field…Drew Ward connected on a pair of doubles on the first two pitches he saw and scored three runs on the night…Chuck Taylor is slated to be the team’s leadoff batter. This entry was posted in Uncategorized and tagged Aaron Barrett, Chuck Taylor, Harrisburg Senators, Rhett Wiseman, Wil Crowe. Bookmark the permalink.